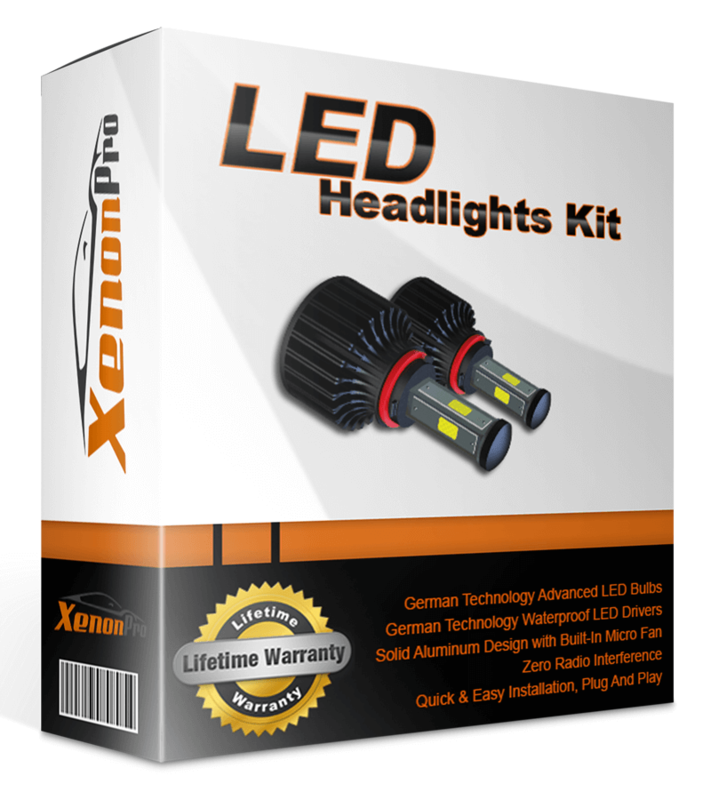 XenonPro.com provides you Latest Generation LED Headlights Kits. Our LED kits are manufactured to the highest quality standards ISO 9001-2000. We only use premium German Bulbs & Drivers. Extremely simple and quick installation, plug and play. Two (2) German Technology Advanced LED Bulbs. Two (2) German Technology Waterproof LED Drivers. Solid Aluminum Design with Built-In Micro Fan. 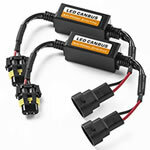 No Need For Ballasts, Fits Right Into Your Existing Factory Bulb Housing. Choice of 4 Colors: White, Yellow, Blue and Purple. Extremely Simple Installation. Plug And Play. Lifetime Warranty on Entire Kit. Free Replacements. If your vehicle make is in the list below, you must add the Warning Canceller accessory to your order. It is a requirement for your vehicle in order for the kit to install and work properly. Increased visibility with Bright LED Lights. 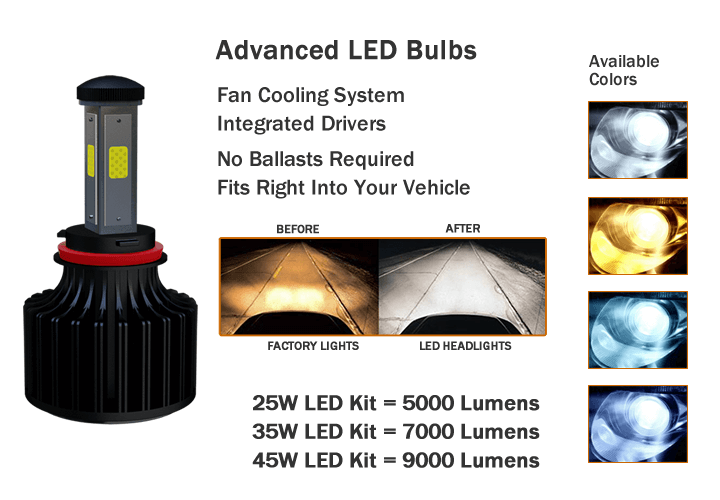 Lasts 5-10 Times Longer than standard halogen bulbs.